Councilman Bobby Henon will engage in an aggressive education campaign to remind everyone in the 6th District that we need to be partners in the fight against blight and other quality of life issues. The goal will be to educate our community about the law and to encourage offenders to comply. Councilman Bobby Henon, who replaced Joan Krajewski in the 6th Dist. two months ago, told a state committee meeting this week in Northeast Philadelphia he’s ready to wage war against absentee landlords and negligent property owners. Henon testified at a Democratic Policy hearing chaired by State Rep. Mike Sturla (D-Lancaster) and Kevin Boyle (D-Northeast). The hearing was held Tuesday to examine issues dealing with absentee landlords and negligent property-owners at CORA Services in Bustleton. Henon told the panel he will introduce legislation in City Council that will wage a campaign directly against negligent homeowners and absentee landlords. Henon said he will use every tool the City has to go after absentee landlords. In the next several weeks, Henon plans to wage a public campaign against absentee landlords. Henon said the legislation would include increased fines. Good, responsible landlords, he said, will be recognized. But bad ones will be punished. Any landlord with three or more code violations will be contacted directly, Henon said. Henon said 65% of the calls he has received since he took over the 6th Dist. are directly related to absentee landlords. He said his office staff has generated the data, along with a list of owners who have been directly affected by absentee landlords. Boyle, who had requested the hearing, said the surge in real-estate opportunities in the “middle-class base of Philadelphia” from New York-based property owners is part of the reason Northeast Philadelphia is plagued by absentee landlords. “This is a quality-of-life issue, and an economic issue,” Boyle said. For the same price single building in New York would cost them, investors are able to buy numerous properties in Northeast Philadelphia. “In the past, a rental landlord from the suburbs owned one or two properties here, but now landlords from New York have 15-20 properties – it’s out of control. “We need to get on the ball and deal with this issue,” Boyle said. A host of individuals joined the panel to testify in the 5-hour discussion, including James White, policy coordinator, Philadelphia Association of Community Development Corps. ; and Joseph DeFelice, president of Mayfair Civic Association. 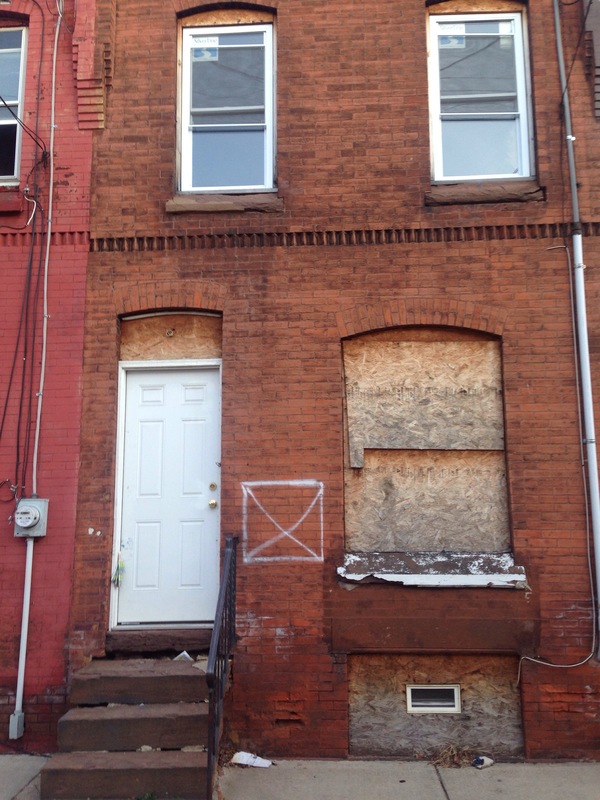 via Henon Goes After Absentee Landlords | Philadelphia Public Record. Submitted by an anonymous site visitor. According to the OPA, this property is owned by Gertrude Saylus and William Walker. Gertrude Saylus bought it in 1992 and in 1996 transferred it to herself and William Walker. Taxes show unpaid since 2001 and total more than $6,000.